The son of Ari Bahadur Gurung, who had represented the Gorkha community in the Constituent Assembly, today said the family "will be returning the citation" conferred on him posthumously by the GTA in protest against Bimal Gurung's alleged disparaging remarks against the veteran and refusal to tender an apology. Bimal, the GTA chief executive and the president of the Gorkha Janmukti Morcha, had allegedly cast aspersions on Damber Singh Gurung and Ari Bahadur Gurung, both of whom had represented the Gorkhas in the Constituent Assembly, at a public meeting in Kalimpong on March 30. "I feel ashamed to call myself a Gurung. Had Ari Bahadur Gurung and Damber Singh Gurung dedicated something to this land for our sake, maybe, we wouldn't have been begging like this... I have to make up for the mistake they made," he had said. Yesterday, Bimal said his comments were misinterpreted by political rivals and he had always respect for the two veterans. Udai Gurung, the son of Ari Bahadur and the spokesperson for the families of both the Gorkha representatives in the Constituent Assembly, today said in a written statement: "We were highly disappointed by the stand taken by Bimal Gurung that he was misrepresented and didn't mean what he said on 30th march 2017 in ward no 4 at Kalimpong." 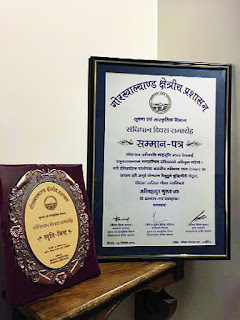 Udai, a doctor by profession, added: " It is a paradox then that in the past year Ari Bahadur Gurung has been felicitated twice, 16th November 2015 and 26th January 2017, then his memory dragged through the dust by GTA's Chief Executive, Bimal Gurung, twice, first in his disparaging remarks on the 30th of March and then again on the 5th of April when he failed to apologise for the hurt he had caused to the family and supporters of the late Damber Singh Gurung and Ari bahadur Gurung." Ari Bahadur's family had been given a citation and a memento on November 26 last year (Constitution Day) by the GTA in honour of his contributions. Udai said the family would return the citation to the GTA. "In view of his speech and the statement thereafter issued by Bimal Gurung, the citation given to the Family of Late Ari Bahadur Gurung in honour of his achievements holds no meaning and value for us. It only demeans his memory and as a mark of our protest we will be returning the citation to the GTA," he said.